How can I change the way times are displayed? Log in to Admin Settings and scroll down until you see "Date / Time Formats" in the left hand sidebar under "Admin Settings & Defaults". There you'll see fields to change the time and date formats in DayBack. 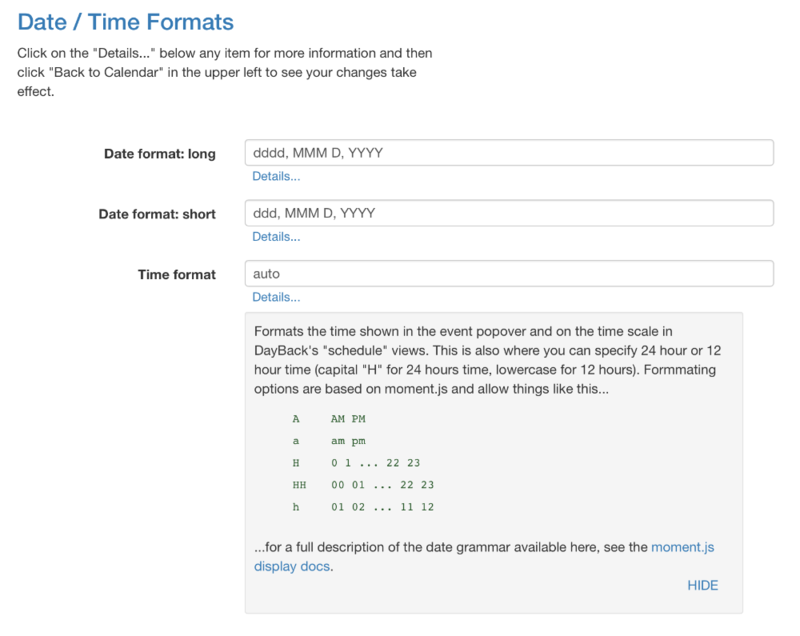 Click "Details" to learn more about the grammar for describing time and date formats.